2019 Rates: $129-$309 daily; $923-$1881 weekly. Featured in The Knot magazine for having one of the nation’s best sunset views in an ideal honeymoon spot. You’ll love finding out why. 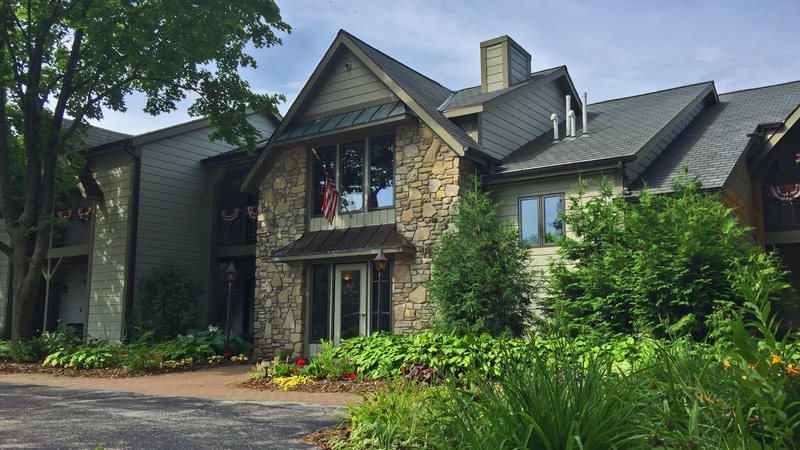 We pride ourselves on attentive, personalized service, whether you’re here to celebrate a wedding or anniversary, or taking on the trails and shoreline that make Door County an ideal silent sports getaway. 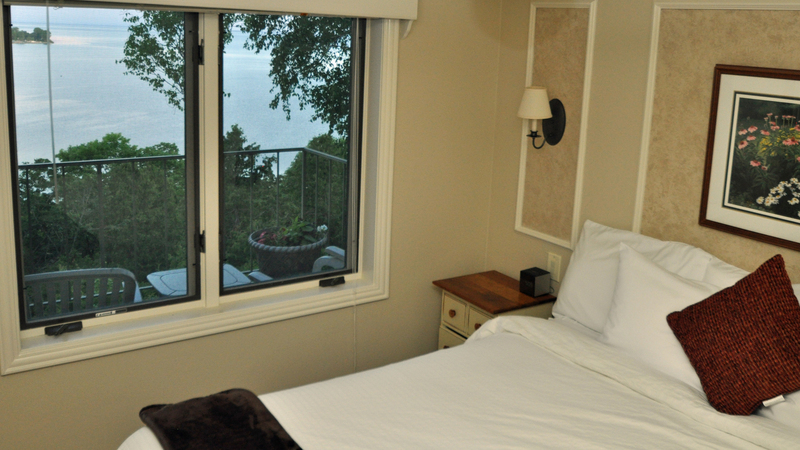 Wake up in a luxurious king bed and open your eyes to an expansive view of the morning sun glistening off Green Bay, then start your day with complimentary homemade pastries, quiche, and Belgian Waffles and coffee in our lounge. Sounds pretty good, doesn’t it? If you prefer to cook for yourself, each unit has fully equipped kitchens and a spectacular view from your breakfast table, plus flat-screen televisions in the living room and bedroom. Nearly every unit includes a recently remodeled and expanded bathroom with hydro-massage whirlpool tubs and showers, soft towels, and toiletries. 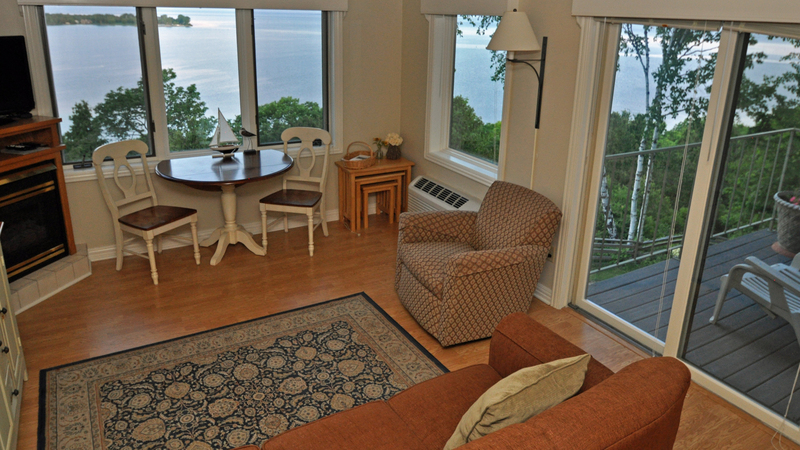 Explore Door County from the perfect location, with the Egg Harbor beach and marina a short walk away, and village shopping and dining just minutes from your door. 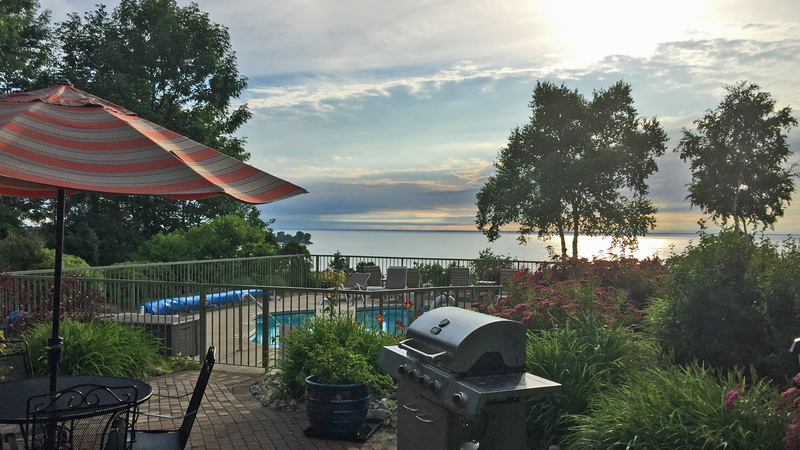 Go for a run or walk along White Cliff Road, with its Land Trust Preserves on the east, and fabulous shoreline summer homes to admire on the west. 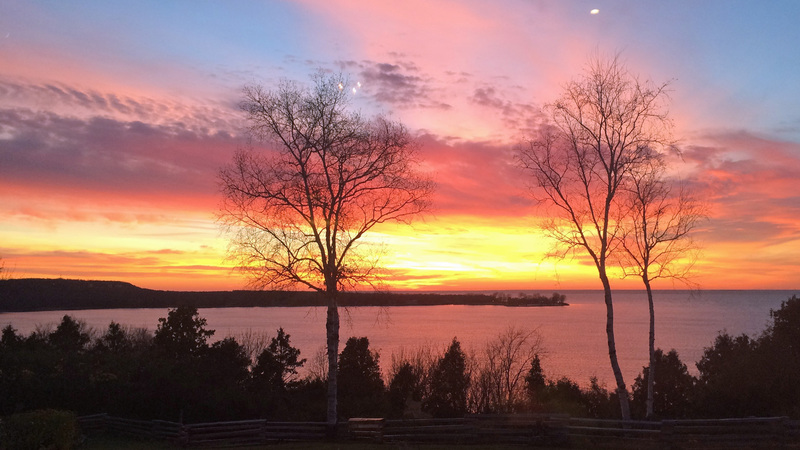 Fish Creek and Peninsula State Park are just a 10 minute drive north, and Door County’s award-winning wineries are just a few minutes away as well. When you’re done exploring the Door, retire to your villa with a glass of wine or beer on your patio or balcony, and admire a sunset you’ll never forget.